Rick has over 39 years of experience in construction and engineering. He graduated with a Bachelor of Science in Civil Engineering from Old Dominion University and obtained his Professional Engineering License in Virginia. As Vice President at Gibbs Construction, Rick was responsible for all Pre-Construction and oversaw select major projects. At Woodward Design Build, where Bill and Rick worked side by side for 24 years, Rick held the position of Director of Research and New Initiatives and for over 20 years managed the Estimating Department. In North Carolina, Rick was a Senior Estimator for McDevitt & Street on projects along the East Coast. Rick started his career in Norfolk, VA where he was a project manager, superintendent, and field engineer for various general contractors that focused on federal, state, and commercial projects. Finally, he also worked as a Senior Engineer for Petro Marine Engineering in New Orleans where he helped commission the Louisiana Offshore Oil Port and the design of an offshore oil platform. The broad range of projects Rick has significantly participated in includes multi-family residential housing, hotels, condominiums, hospitals, sports facilities, automotive facilities, retail, warehouses, new construction, and renovations. Additionally, Rick has worked closely with adjusters and claims teams to ensure a client’s damage estimate recognizes all the damage and is valued adequately. He led the pre-construction efforts on the rebuilding of Tulane and Dillard Universities after Hurricane Katrina shut down their campuses and the City of New Orleans. In addition, Rick was certified in Federal Court as a Cost Expert and testified before the Office of Management and Budget on behalf of the New Orleans Recovery School District in its negotiations with FEMA. Rick and Bill started Dupont-LeCorgne Construction Consultants in response to client requests for independent 3rd party expertise. Owners and designers had expressed a desire for construction advice without having to commit to a contractor. At Dupont-LeCorgne Construction Consulting, Rick and Bill assist developers with property assessments, construction budget preparation, site evaluation, and program management with projects from the design phase all the way through construction. They also assist general contractors in establishing their estimating departments. 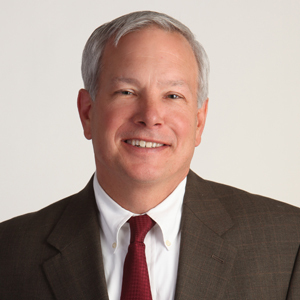 As an expert witness, Rick has helped general contractors, developers, and owners resolve construction disputes and claims. Rick sits on the Boards of Cypress Lakes Country Club and The All Star Foundation, which focuses on at-risk families. He is also a long-time sponsor for Compassion International.